Spring is one of our favorite seasons at Mt. Rainier. It’s splendid to watch the environment slowly transforming and everything turning green once again. If you have spent the winter months hibernating, it’s time to crawl out of your cave and enjoy the refreshing mountain air! One of the best ways to explore Mt. 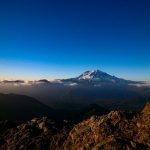 Rainier is by foot, and the mountain is lined with hundreds of miles of beautiful trails for hikers of all ability and skill level. Spring hikes at Mt. Rainier are some of the best you can experience. 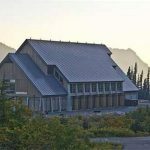 While spring hikes are beautiful and give visitors the opportunity to see the mountain waking up, the weather can be erratic and calls for some preparation and planning ahead. Trail-goers should be prepared for both wintery and warm conditions. Make sure to have the hiking boots and layers of clothing appropriate for a variety of conditions. Even if it is warm and sunny, it is sure to be wet because of the snow melt. Because the weather can change quickly, make sure to always plan ahead. Check in on the weather status at the mountain and make sure the trail you are planning on hiking is open and safe. Ranger Falls: The snow is melting and the waterfalls at Mt. Rainier are magnificent. If you are up for a challenging hike with a big payoff, the hike to Ranger Falls is perfect for you. It is a hefty 11.2-mile hike that follows the Carbon River Road to the Ipsut Creek Campground. The trail is closed to traffic and takes hikers through beautiful old-growth forests, by Green Lake Trail, and then to Ranger Falls where you can view the breathtaking, multi-tiered waterfall. This is a Spring hike that is well worth the work. Trail of the Shadows: This trail is perfect for young families that are going stir crazy from being cooped up. It’s just under a mile with no elevation gain and captivating views created by the mineral springs. 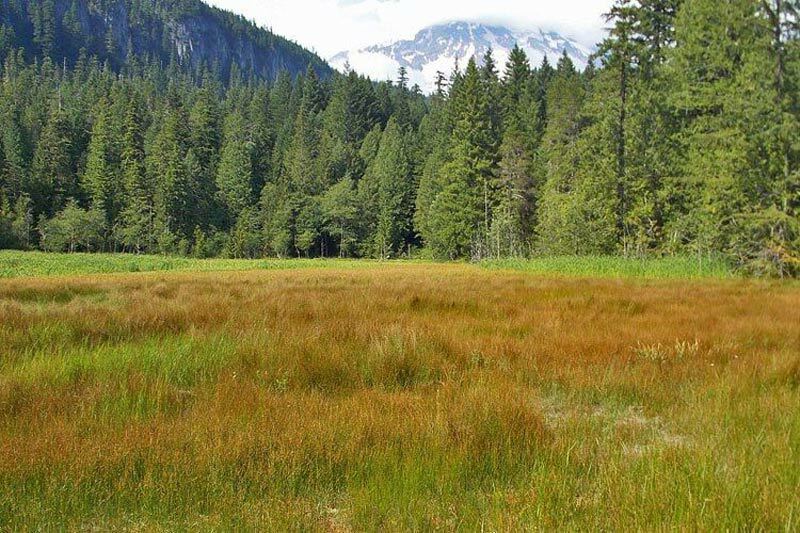 It takes visitors by the marsh, through the colorful meadows, and to Longmire Springs Hotel. Beyond the hotel you will pass Soda Springs and then come to Longmire Cabin, which is the oldest structure inside the park. The wildlife and historical sites will captivate people of all ages and is the perfect first trek, especially for those with little ones. Melmont Ghost Town: This is another easy hike that is perfect for both the beginner and intermediate hiker. It’s 3.84 miles with very little elevation gain. If you are the kind of hiker who enjoys exploring old towns and historical sites, this trail will not disappoint. Melmont is a fun Ghost town to explore and dates back to the early 1900s when the Northwest Improvement Company opened the Melmont coal mine. It quickly grew into a vibrant town until around1915 when it began to slowdown and deteriorate. By the1920s all of the coal mines had shut down and what was left of the town was burnt in a fire. Hikers are encouraged to explore this trail in the spring time before the greenery covers the artifacts. There’s a lot to explore and this hike makes for a wonderful day trip. Carter and Madcap Falls: If you are addicted to the beauty of waterfalls, the hike to Carter and Madcap Falls is much shorter than the Ranger Falls hike when you take off from the Cougar Rock Campground gate. 2.2 miles of trail make this a great family hike, but make sure the snow has melted and the trail is in good condition before you go. The trail runs along Paradise River and takes you through beautiful forested areas making it a scenic delight. You encounter Carter Falls first and then 50 yards farther down the trail Mad Cap Falls appears. If you want a slightly longer hike you can start at Longmire, extending it to 5.5 mile hike. We’re sure you’ll love these 4 spring hikes at Mt. Rainier. And when you’ve completed your hike, you can head back to one of our well-appointed Mt. Rainier cabins for a soak in the hot tub. For a full list of trails to explore visit Visit Rainier. This site will keep you updated on weather and road conditions and so much more.